Wonder Woman is a member of an all-female tribe of Amazons (based on the Amazons of Greek mythology) who was created by Marston as a “distinctly feminist role model whose mission was to bring the Amazon ideals of love, peace, and sexual equality to ‘a world torn by the hatred of men.’ She is one of the big three in the DC Universe which includes Superman, Batman, and Wonder Woman. Her first appearance was in All-Star Comics #8 (December 1941) and later in Sensation Comics becoming the main character. Comic history has shown her to be the greatest heroine in the DC comic world. Wonder Woman Vol. 2 #219 – Sacrifice, Part 4 of 4 is the last of the Sacrifice Story. 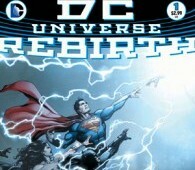 Maxwell Lord uses his powers to influence Superman’s mind, causing him to brutally beat Batman. After, Superman attacks Wonder Woman. Superman is under the belief that Wonder Woman is his old enemy Doomsday trying to find Lois Lane to kill her. In the midst of her battle with Superman, Diana realizes that even if she defeats him, he would still remain under Max Lord’s absolute mental control. She creates a diversion lasting long enough for her to race back to Max Lord’s location and demand that he tell her how to free Superman from his control. Bound by her lasso of truth, Max replies: “Kill me.” Wonder Woman then snaps his neck (see The OMAC Project for more about this storyline). 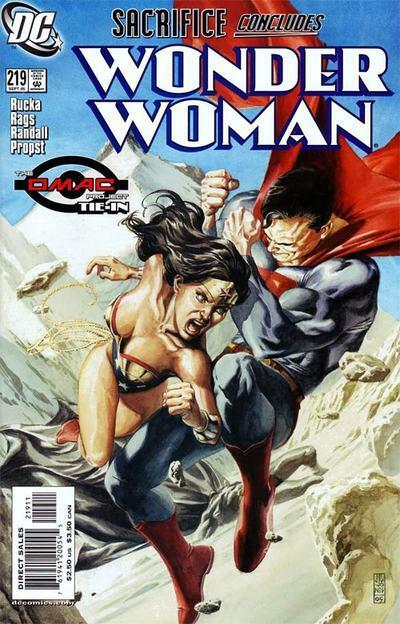 In response, Brother Eye broadcasts the footage of Wonder Woman killing Lord all over the world, destroying her reputation and her friendship with Batman and Superman (who rejected her despite the fact that she saved their lives). DC’s monumental Infinite Crisis event has had its share of moments, but none more dramatic as the final page of Wonder Woman #219. 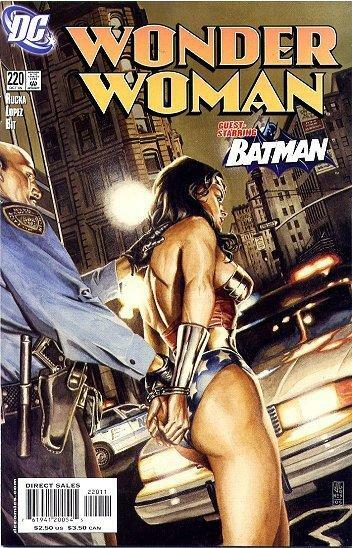 With Superman under the control of Maxwell Lord, the same man who killed Blue Beetle and knows the intimate details of DC’s greatest heroes, Wonder Woman was presented with a terrible choice. She could continue to battle Superman and Max Lord in hopes some unseen solution might present itself or she could kill Max and free Superman. Writer Gregory “Greg” Rucka took a lot of heat for this story. It had to be one of the greatest moments in comic storytelling. The Ideals of a hero are not clear sometimes but Wonder Woman did not hesitate to save her friend Superman and Batman from Max Lord’s control. She ended the life of an evil man became his judge and jury for what she thought was the greater good. This truly was a Sacrifice of Wonder Wonder left with the only choice she thought she had. John Byrne. As a writer and an artist, Byrne recreated the world of Superman based on concerns at the time as well as tradition, both comics and otherwise. 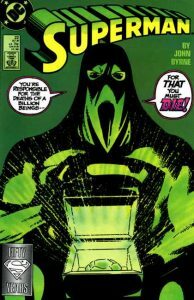 The mini-series that launched this new direction was Man of Steel, published near the end of 1986. The guiding principle of this revised version seemed to be that Superman was the last son of Krypton: gone were Supergirl, Superboy, the Super-pets, and the rarely-seen Superwoman. Superman did not materialize his powers as a boy. Perhaps the most effective change, however, was made to Lex Luthor: gone was the mad scientist, replaced with a brutal capitalist far more reminiscent of The Kingpin (primarily of Marvel’s Daredevil) than the old Luthor. Byrne did bring back the Silver Age Superboy in a storyline where the Time Trapper created a “pocket universe”, there General Zod killed all the people of earth. The Lex Luther there brought Superman to the pocket universe to stop Zod. He did with the help of a man-made life-form (made of synthetic protoplasm) created by the heroic Lex Luthor. It was named Matrix in the image of Supergirl. After using white Kryptonite from the pocket universe to erase their powers, (which had no effect on Superman from the regular Universe), Superman then pronounced judgment on Zod and his companions for the wanton death and destruction of the 5 billion lives from that earth. Superman executed them with Green Kryptonite. Superman actually killed all the remaining Phantom Zone survivors for their crimes.